This past weekend, my friend and I made plans to link up for some cute daytime plans. We had to postpone on Saturday no thanks to load shedding - brunch spot closed, WiFi down and with both of us on a service provider that cannot handle Stage 4 load shedding, we couldn't really WhatsApp efficiently. We tried again on Sunday - successfully so. But before linking up, we had to postpone for an hour just to allow our phones time to charge. Luckily for me, the dress I had planned to wear didn't require ironing, but my friend, on the other hand, didn't have a single item of clothing that wasn't creased. She sent me this disclaimer: "Don't laugh at me when you see me. I couldn't iron my clothes because of load shedding." So that got me thinking; there must be a way around this load shedding thorn in all of our sides when it comes to fashion and beauty. READ MORE: How do I get that red wine or tomato sauce stain off my new white blouse or leather shoes? Or I might leave my place not realising just how incredibly creased my outfit really is. If only Eskom understood that mood lighting was just not made for practical day-to-day survival. 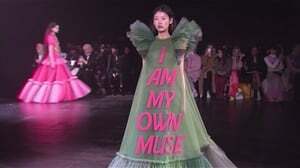 Anyway, perhaps it's time we got ourselves a fashion and beauty survival guide seeing as we've all involuntarily given up electricity for lent again, for another five years. I never knew Eskom was a religious company. They gave up electricity for Lent. By now you should have a fair idea of when load shedding will occur in your area at least a few hours before it happens. Twitter account @CityPowerJhb is quite handy and reliable for this. I know a few Capetonians said they can't relate, but for those who can, try @CityofCT on Twitter. Once you have that info, pull out your ironing board and plug in your iron while you still have power. It doesn't matter if you're not one hundred percent sure about what you're going to wear to work, campus or your interview yet - this is just to help you have your options open. Have dresses, skirts and blouses in unforgiving fabrics such as linen and satin? Be sure to always keep those ironed during these trying times so you can remain just as crisp-looking as Celine Aargaard. There's no doubt that load shedding has ushered in a lot of diet cheat days since we can't always cook when we want to and some of our food spoils in the fridge at least three times a week now. So if we can have cheat days when it comes to meals, we can have wardrobe cheat days too. If it so happens that you couldn't get some ironing done before a scheduled power outage, best pull out every item in a textured fabric that you have. Textured fabrics don't require ironing, making them very convenient go-to clothes. 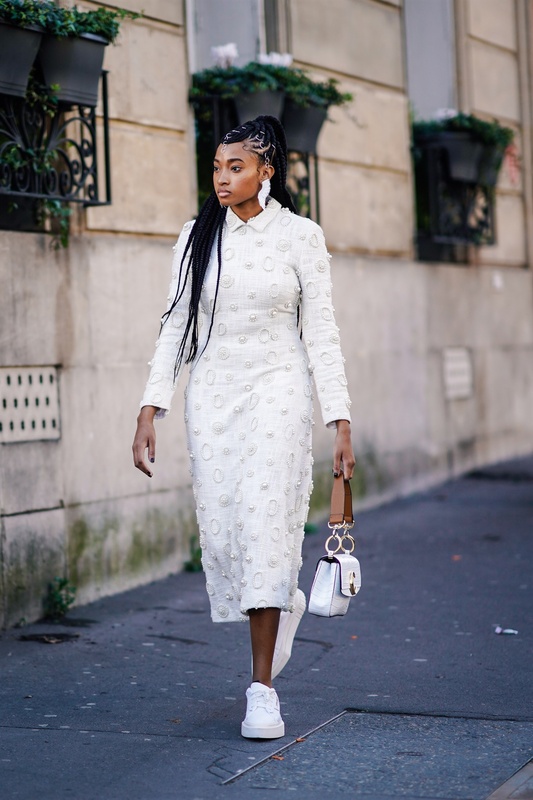 Think tweed, pleats, lace, faux leather, denim, knitwear blends, or even consider this an excuse to wear sequins and embellishments for no reason at all. Temperatures are still fairly warm, so some of these may not always be ideal, but if you don't layer, you should still be alright. Twisted || Raf’s @dior + Raf’s @calvinklein + a few hours with some Kanekalon hair. 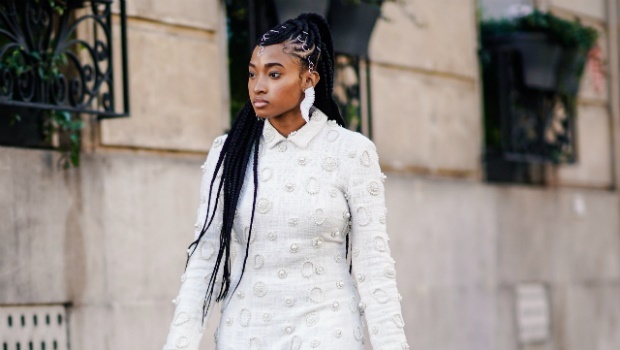 Protective hairstyles such as braids and cornrows are usually reserved more for winter due to how damaging this season can be on our natural hair. However, now you have another reason to get braided. While a lot of people who have gone natural don't necessarily blow dry their hair anymore to avoid further heat damage, there are others who feel inconvenienced by the inability to blowdry their hair when they need to. Braids, cornrows and well-maintained wigs are all we need to steer clear of bad hair days for as long as there's load shedding in SA. Lukewarm water is good for your skin, so at least you can now join the skin power circle thanks to Eskom. According to L’Oréal Paris' head of scientific communications Dr. Rocio Rivera, a lukewarm water temperature "delivers the best skin care results." L’Oréal Paris' report further highlights that "most skin care products were tested or created with this ideal temperature in mind," adding that "Dr. Rivera also points out that lukewarm water can help ensure that your facial cleanser gets the right amount of foaming action, removes enough dirt from the surface of your skin, and balances your natural skin oils appropriately." Could this be Michelle Mosalakae's secret? For me, a healthy skin care routine is about looking after yourself inside and out. Being mindful of what you put on your skin and what you put into your body. There are many ways to go about doing this of course but my simple go-to tips are: Hydrate yourself ?? , cleanse, tone, exfoliate (2-3times weekly - you can even make a homemade scrub! Just be careful what you add) to get your skin as healthy as possible. The added benefit is that you get to create the right canvas for applying make up to enhance your natural beauty! P.S Don’t sleep with make-up on AND wipes aren’t an excuse for not washing your face?????? ... eye cream is your friend, sunscreen is your best friend ! No matter how much or how little pigment melanin you have, the sun doesn’t discriminate! ???????????????????????? Do you have any other load shedding fashion and beauty survival tips? Share them with us on Twitter or Facebook.